These publications may have botanical or zoological subject matter, but do not contain any original research or new information, and therefore cannot be published as numbers in the Strelitzia or Suricata. These are books that need to be de-branded for various reasons, e.g. publications commissioned by the Department of Environmental Affairs, and books that do not quite fit the scientific journal format of the aforementioned journals or the SANBI Biodiversity Series, for example coffee table books, informative booklets and garden guides. South Africa is signatory to the Convention on Biological Diversity and is committed to the implementation of a national strategy to conserve plants that aligns with the Global Strategy for Plant Conservation (GSPC). With 6% of the world’s plant diversity and strong botanical and conservation capacity, South Africa is well placed to make a significant contribution to plant conservation globally. 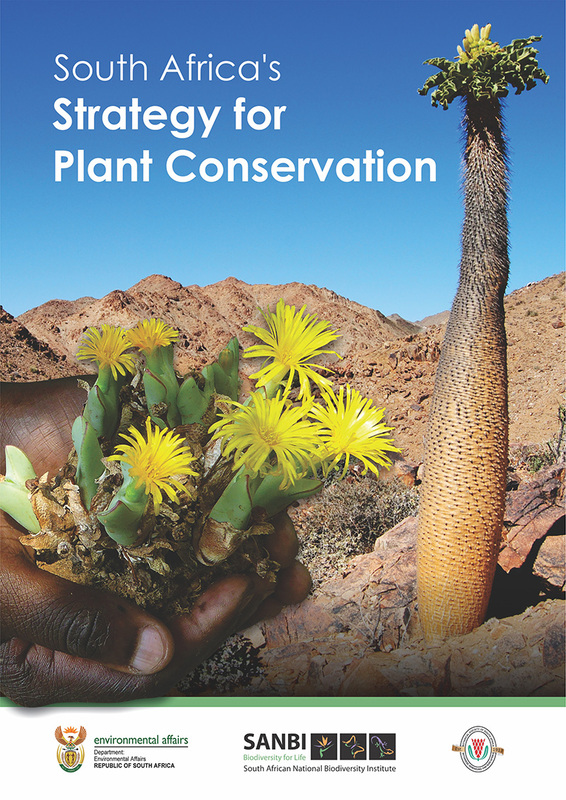 This document presents South Africa’s National Strategy for Plant Conservation. It includes 16 outcome oriented targets, each of which, if implemented well, will help lead to improved conservation of South Africa’s plants. The targets include work that ranges from the description, assessment and conservation (in situ and ex situ) of South Africa’s plants; to work on the sustainable utilisation of plant species. In South Africa, plant conservation is not done in isolation of other biodiversity conservation work. This National Strategy for Plant Conservation aligns with South Africa’s updated National Biodiversity Strategy and Action Plan. Each of the outcomes in this plant strategy is either directly represented or nested under one of the activities of the NBSAP. Under the leadership of the South African National Biodiversity Institute (the focal point for the implementation of the GSPC nationally), and with support from the Botanical Society of South Africa, a network of botanists and conservationists has been developed that includes conservation agencies, NGOs and academic institutions. It is this strong network that will ensure that South Africa’s National Strategy for Plant Conservation is implemented by 2020. Soft cover, A4, pp. 84. 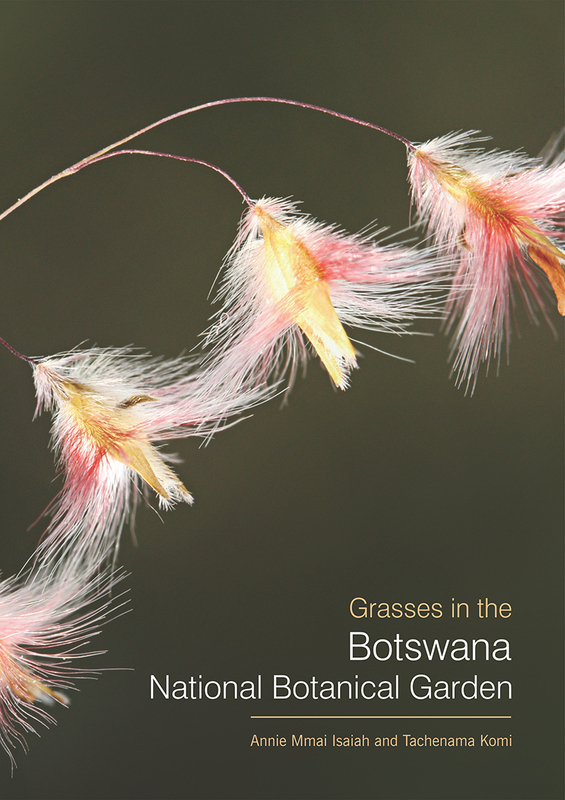 Thirty-three grass species found to occur in the Botswana National Botanical Garden during a three-month long survey in the summer of 2012 are presented in this guide. Each species is illustrated by a photograph of a herbarium specimen, supplemented by some short notes on its morphology, its habitat and the frequency with which the species occur in the garden. The species are arranged alphabetically according to scientific names and English and Tswana common names are also provided. All specimens illustrated in this guide are available in the National Herbarium of Botswana (GAB) in Gaborone. Soft cover, A4, pp. 36. 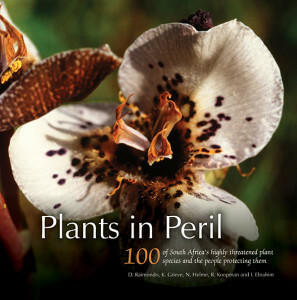 South Africa has the highest documented number of extinct plant species of any country in the world. As a result of human destruction of natural areas for agriculture and urban development, as well as the spread of invasive alien plants and illegal harvesting of plants for horticultural and medicinal trade, 2 553 plant species are currently threatened with extinction. This publication focuses on 100 of these plants, some of which are on the brink of extinction, with the aims of highlighting the factors threatening their survival and raising awareness of the actions required for their conservation. Published by the South African National Biodiversity Institute in 2013. Hard cover. 257 × 254 mm. pp. vii + 208. 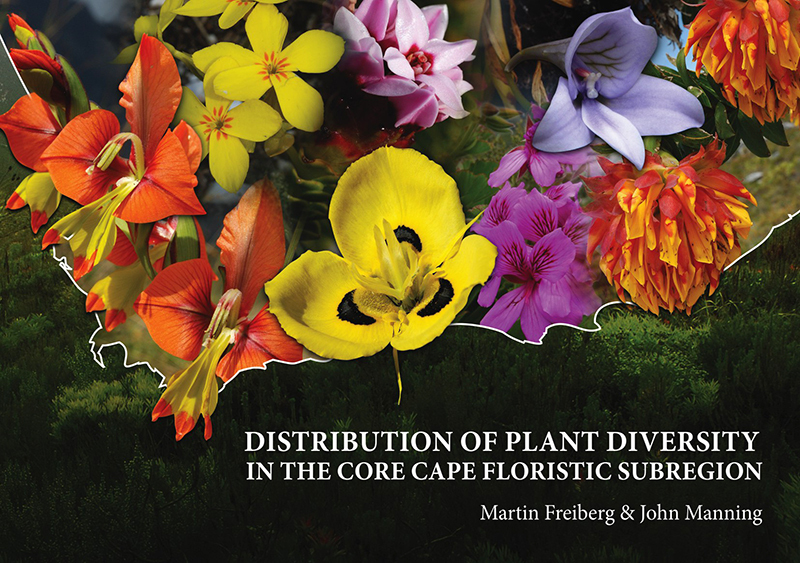 The Core Cape Floristic Region comprises an estimated 9 383 species of vascular plants in 997 genera and 178 families. Available literature provides some guidance on roughly where to go to best explore this remarkably diverse and charismatic flora, but until now it has been nearly impossible to get a more exact idea of where to find the richest concentrations of species. This collection of floristic maps visualises the distribution of the Cape Flora at the taxonomic levels of family and genus, making it simpler for conservationists, botanists and tourists to identify centres of diversity and species richness within the region. 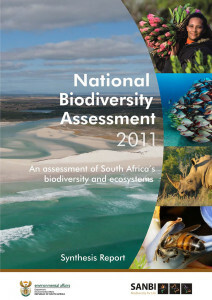 This report presents the results of South Africa’s National Biodiversity Assessment 2011. The NBA 2011 follows on the National Spatial Biodiversity Assessment 2004, broadening the scope of the assessment to include key thematic issues as well as a spatial assessment. It fulfils a core aspect of SANBI’s mandate: to monitor and report on the state of South Africa’s biodiversity. The assessment covers the terrestrial, freshwater, estuarine and marine environments, as well as species of special concern and invasive alien species. The NBA provides headline indicators of the state of South Africa’s ecosystems, and highlights the crucial role of ecological infrastructure in providing ecosystems services that underpin social and economic development. It presents new work on geographic areas that contribute to climate change resilience, and reflect the enormous progress made since 2004 in mapping and assessing biodiversity in aquatic environments. 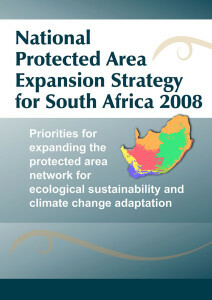 In includes a summary of spatial biodiversity priority areas that have been identified through systematic biodiversity plans at national, provincial and local level. The NBA is led by the South African National Biodiversity Institute in partnership with a range of organisations. It represents a collaborative effort to translate best available science into policy-relevant indicators and information that can inform action and support wise decision-making in the biodiversity sector and beyond. Soft cover. A4. pp. 1 98. South Africa’s protected area network falls short of sustaining biodiversity and ecological processes. In this context, the goal of the National Protected Area Expansion Strategy is to achieve cost-effective protected area expansion for ecological sustainability and increased resilience to climate change. This document highlights ways in which we can become more efficient and effective in allocating the scarce human and financial resources available for protected area expansion. 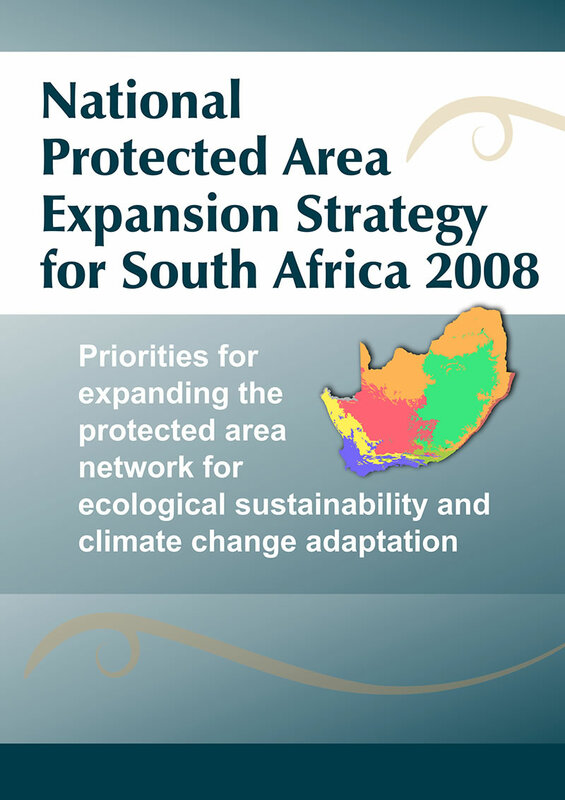 It sets targets for protected area expansion, provides maps of the most important areas for protected area expansion, and makes recommendations on mechanisms for protected area expansion. Soft cover. A 4. pp. vi + 41.